The chatbot revolution is here! Beerud Sheth is Founder & CEO of Gupshup, a leading bot platform -- the easiest and fastest way to build advanced bots. Gupshup simplifies the bot lifecycle by providing tools for development, testing, hosting, monitoring and analytics. The Gupshup platform supports every vertical. Popular verticals include e-commerce, Financial Services, Staffing, Customer Support and Retail.The product is self-serve, which means anyone can login to gupshup.io and build bots on the platform. Its big name clients include Sage, SAP, Barclays, NBC, HDFC Bank, Yes Bank, Conde Nast and Reliance to name a few. India has been quick to adopt the chatbot trend. With earlier technology paradigm shifts such as the desktop or the web, India was late to the game as it had neither the user base nor the developer base. 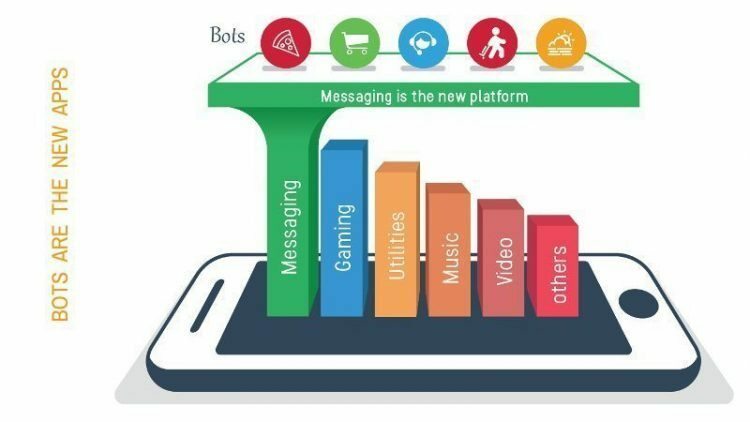 With respect to the chatbots trend, India has both the large user base in messaging as well a large developer base. Businesses have been quick to recognize this and have jumped on the chatbot bandwagon. Big businesses like Flipkart, Ola, television channels or Teamchat have already started implementing and experimenting with chatbots. Faasos, Urban Tree, Propworth and Vanity Cube are some companies that already have chatbots to interact with their customers. Multi-national banks are also building chatbots to engage with their consumers. For instance a bot whose ownership is unknown, has the freedom to cheat with impunity. There will also be bots that will leak information about you to other bots and compromise your privacy. Expect some social engineering with malicious bots as well. This type of bot will abuse your trust to gather knowledge about you. Also, be wary of the bot that performs a bait-and-switch on the user. It advertises a compelling service up front but gradually switches over to a different kind of service over time. For example, a content bot could become an ad bot over time. Bots are yet another battlefront in the cat-and-mouse game played between good and bad actors. Trust and verification is essential for security on any platform. Chatbots are going to explode in the near future. Indian smartphone users are familiar with the messaging paradigm and hence the will to adopt this new technology very quickly. Expect the number of chatbots and chatbot users in India to grow exponentially. This will be accelerated even more when Whatsapp opens their platform. They have announced that they will be doing so very soon. Businesses have recognized the massive potential and are scrambling to build chatbots for their services. We will all be consuming content and services through a messaging app soon!